Continuing the Birthday fun from Part 1, I shall briefly review the presents she received on her birthday. 1.EduScience Globe. This was from me, I had a very clear idea of what I wanted to get for Batool. We’re been traveling quite a bit in the recent past, and I thought it’s the best time to introduce the world to her so she can understand countries and things like that. 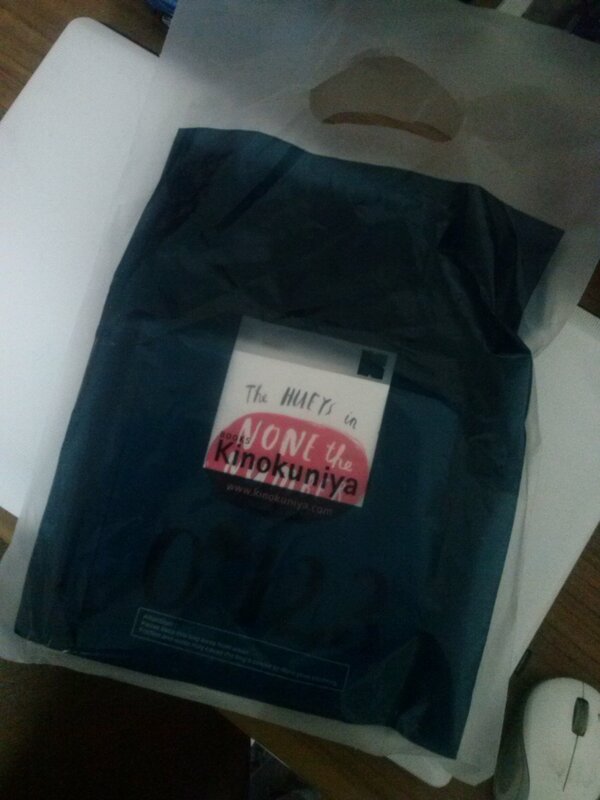 This is actually for 6yrs+ but I bought it anyway for the reason I just mentioned. 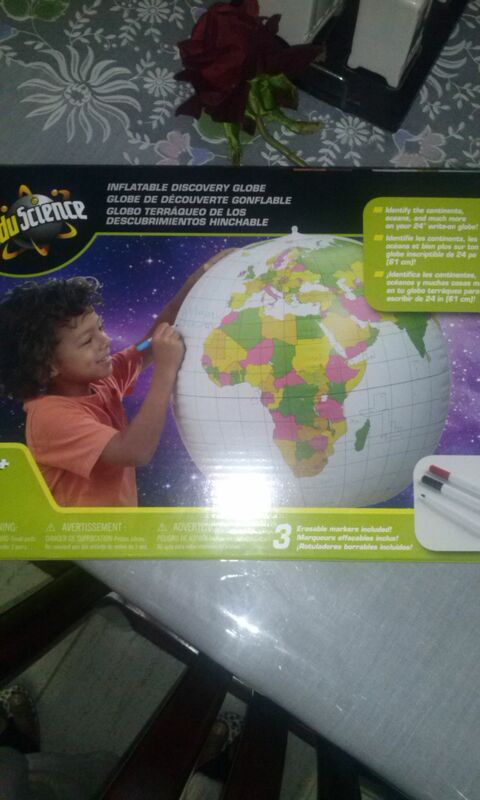 So, this is a huge globe, and is meant to introduce geographical content at the pace of the child. 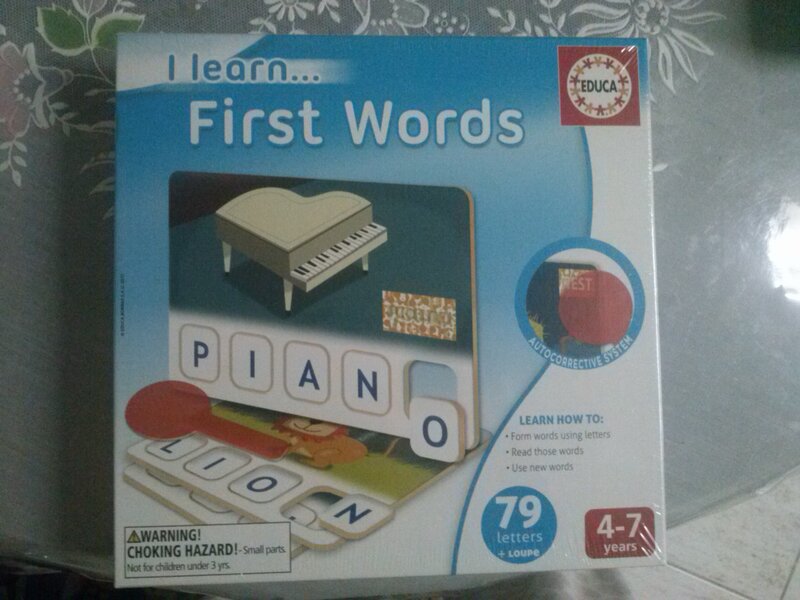 It has nothing labeled, there are erasable markers, and a list of contents and information for parents to refer. You can basically introduce whatever part of the world you want to the child, and move further as and when needed. This is the best feature about the globe, the child won’t feel overwhelmed by the many countries, continents, oceans etc. already marked on the globe. It has a loop on top, so that it can be suspended from the wall. 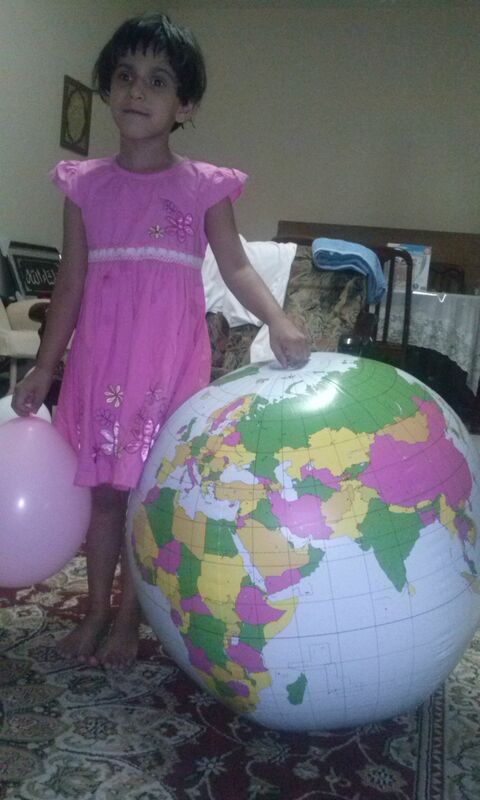 Batool was excited about getting the “earth” for her birthday and she loved it. 2. 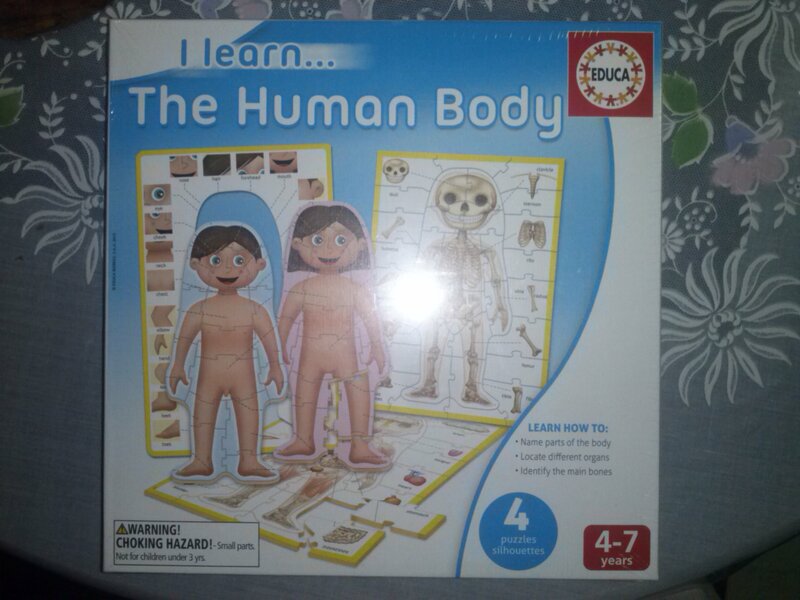 Educa: The Human body puzzle . 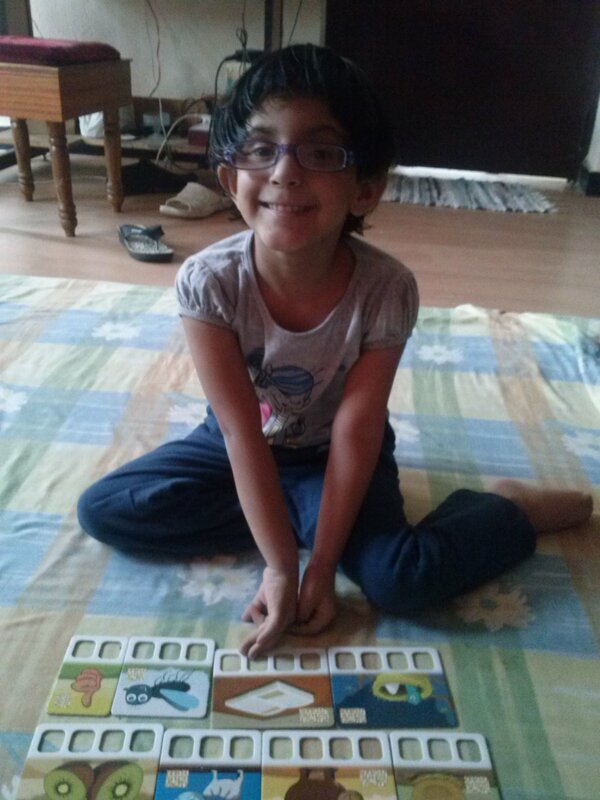 Batool knows the basic human body parts, we are familiar with the ‘head, shoulders, knees and toes’ rhymes. 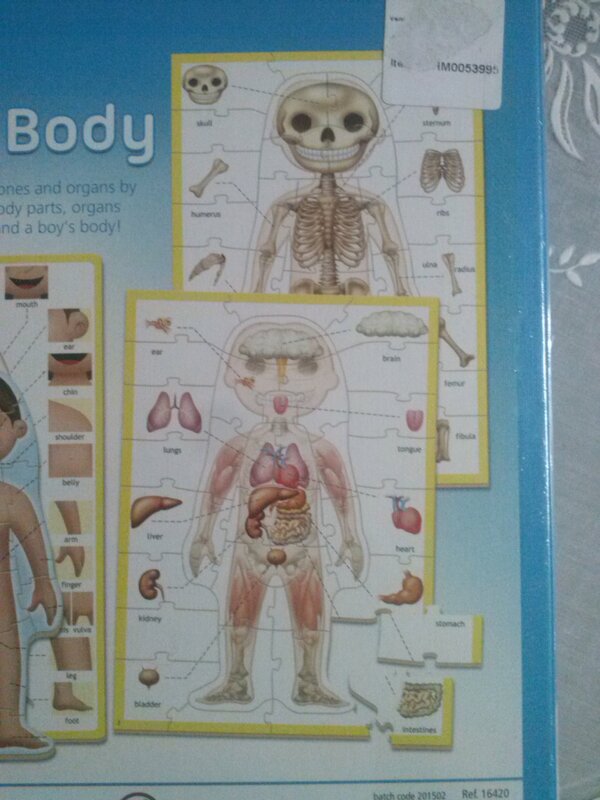 But this puzzle has three layers of human body parts; the upper body, the muscles and the bones. It’s for4-7yr olds, In terms of relevance and understanding, Batool can only comprehend the bones and the upper body. We sat together and made the puzzle the first time. And they have separate puzzles for boy and girl in the top layer as you can see. The puzzle pieces aren’t to many or too small, they’re a good size and all fit into the same body outline stencil. 3. 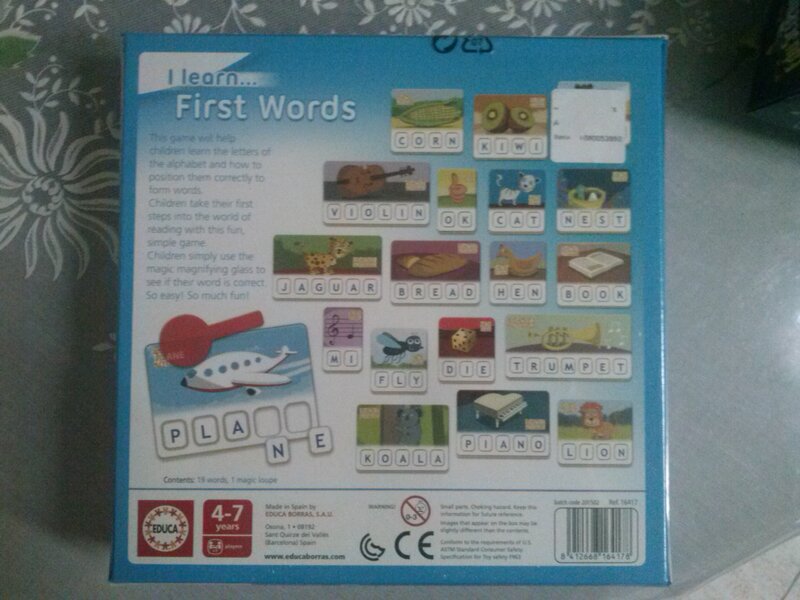 Educa First words – This particular one is great because I am venturing into spelling land with her. And anything that motivates or helps her is fantastic for me. There are three, four and five letter words in the puzzle box, and it’s kind of like picture scrabble. 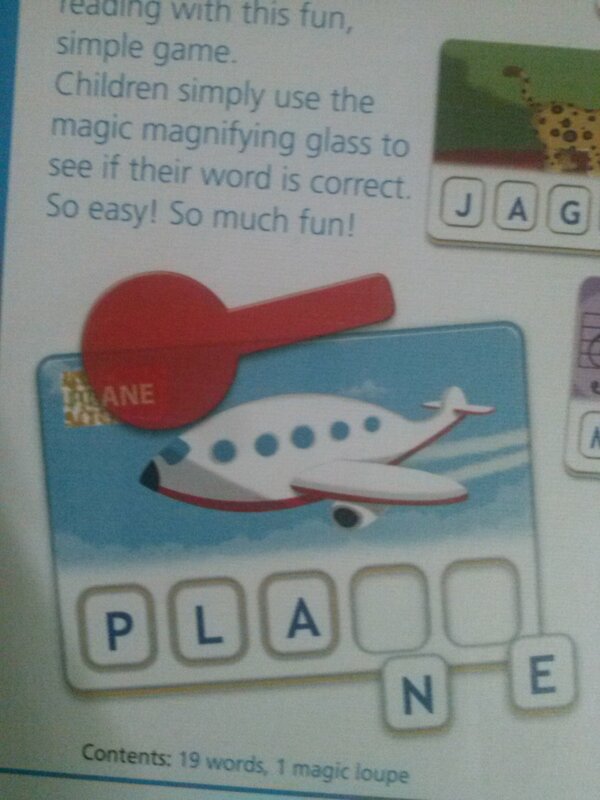 In fact this game can be made with scrabble tiles and printed images. This helps in building vocabulary and boosting confidence. 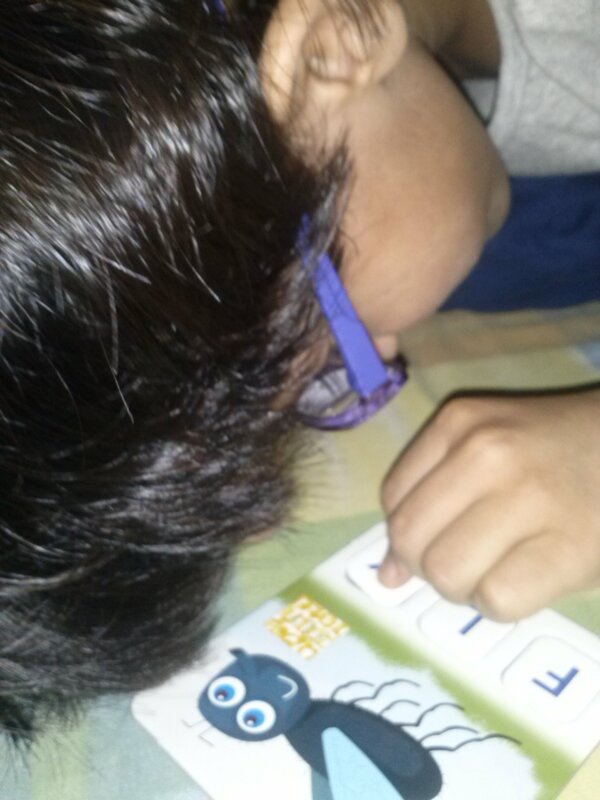 I played this with Batool only after I came back to Hyderabad, and I started off with three letter words, and some simple 4 letter words. The good thing was that she was familiar with all of these words, and was looking forward to learning the spellings. To promote independent play there’s a magic loupe in the contents, which helps children correct their own spelling mistakes. 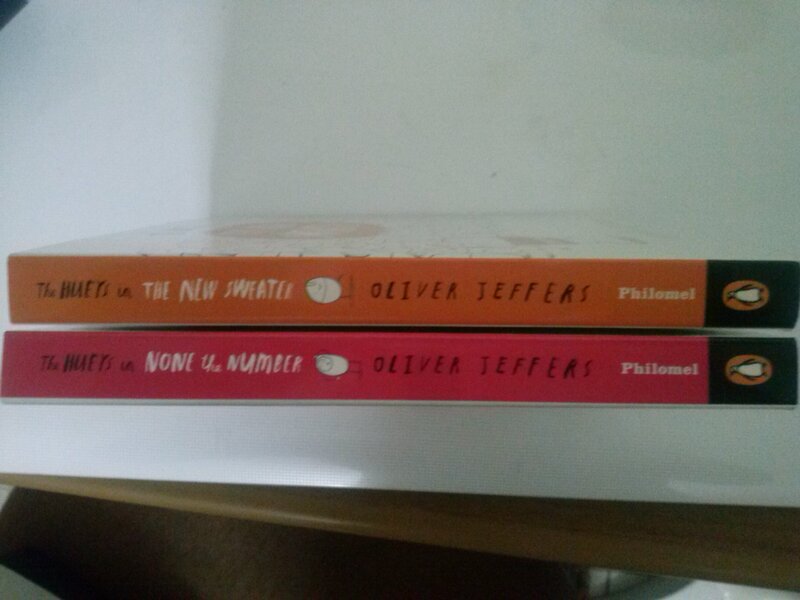 I am a big Oliver Jeffers fan, and this trip got only the above two books. They both have humor in them and teach good concepts. 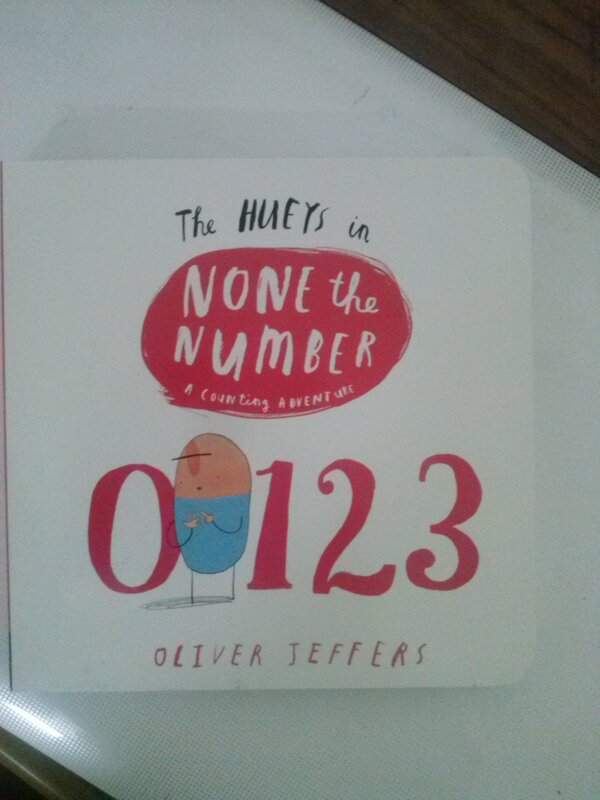 ‘None the number’ introduces the value of and number zero. It’s beautifully written and it helped me make Batool understand too. Because sometimes, zero can be a difficult thing to explain!, the introduction of “none” to the vocabulary is an added bonus. ‘The new sweater’ is a book about finding your own uniqueness, and not being afraid to embrace your own personality. It’s written in a simple story form, and is a great concept to introduce at the childhood level, tolerance, acceptance etc are some concepts that the child can grab from this book. I think it’s a beautiful book that even adults can learn from. 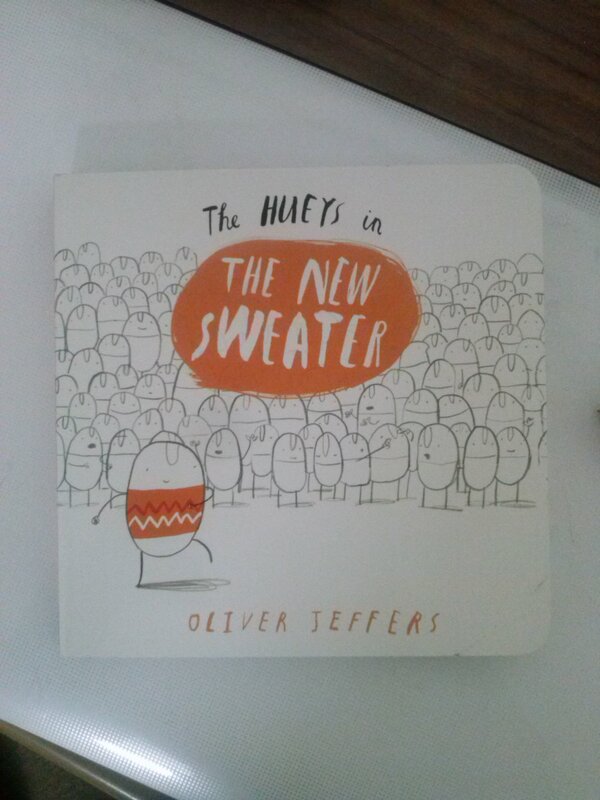 And all Oliver Jeffers books make great gifts. That’s all for now. I need to become more prompt with my posts, if you have any suggestions please leave them in the comments below….